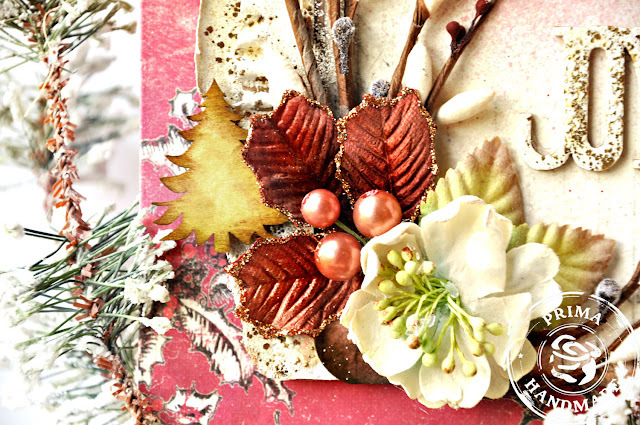 Prima Marketing had been featuring Christmas cards for the month of November. 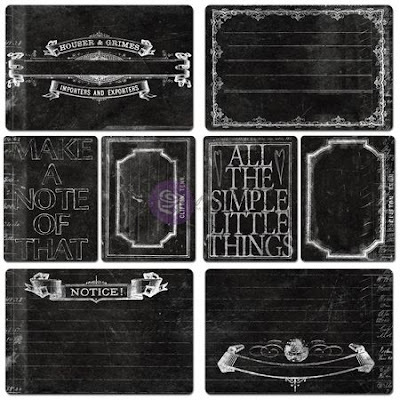 Today, the feature is to use the Everyday Vintage lines of paintable and chalkboard cards. I did one of each. 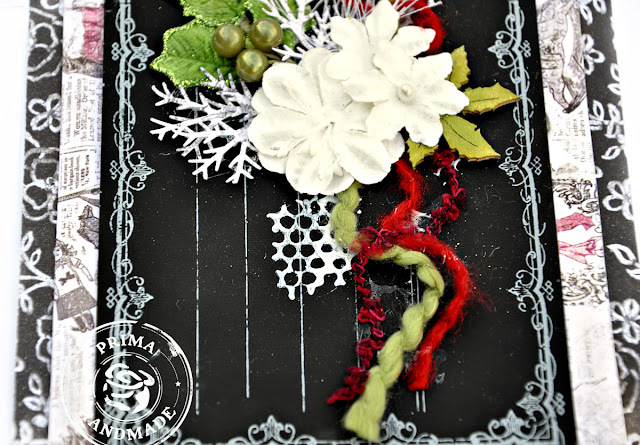 Prima's Chalkboard cards have an elegance about them so I thought it would be nice to use for Christmas. Black for Christmas you say? Indeed, as it makes the wonderful embellishments and the sentiment on your card just pop with love. You can really see the green and red drama in this card against the chalkboard background. 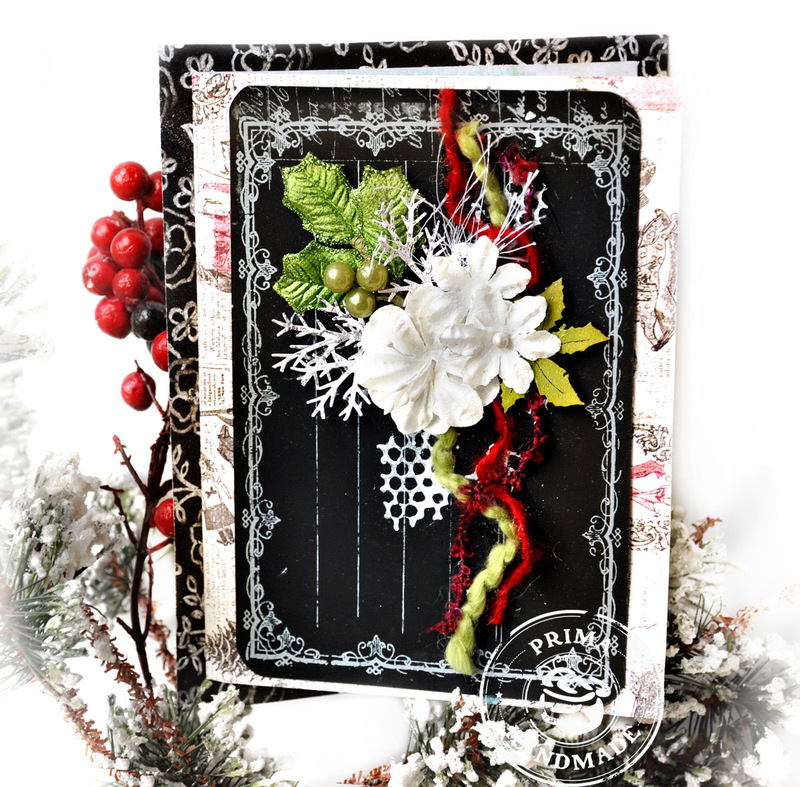 I used a combination of patterned papers here for the background - Prima's Optimist paper - Whimsy for the outer most edge which is also the bas of the card. 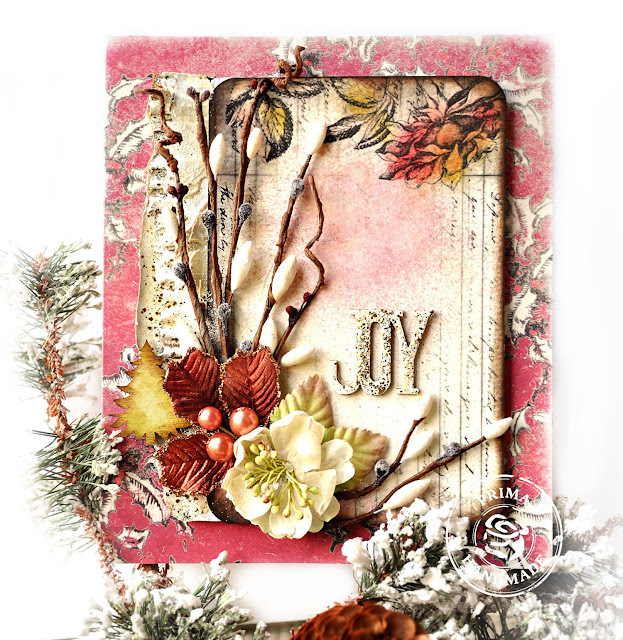 Next is Prima Holiday Jubilee paper -Christmas Morning. My embellishments are also from Prima Marketing - the mistletoe, flowers, stamps and wood icons are all listed below intertwined with some bold trims to finish the card. Here is my second card using the Prima IOD Everyday Vintage Paintables Notecards. I used some Ingvild Bolme chalk inks to color my journal card. 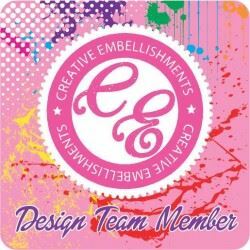 The paintable cards are perfectly sized for greeting cards. 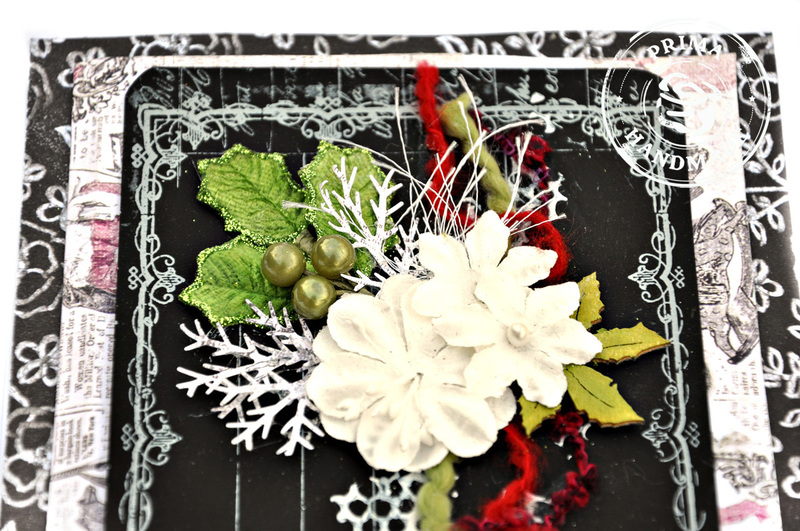 This is backed with pare from the Prima Holiday Jubilee collection. 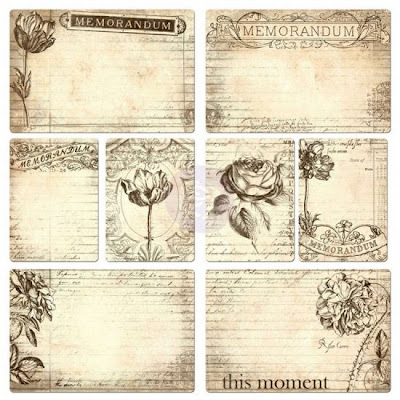 These are the notecards. 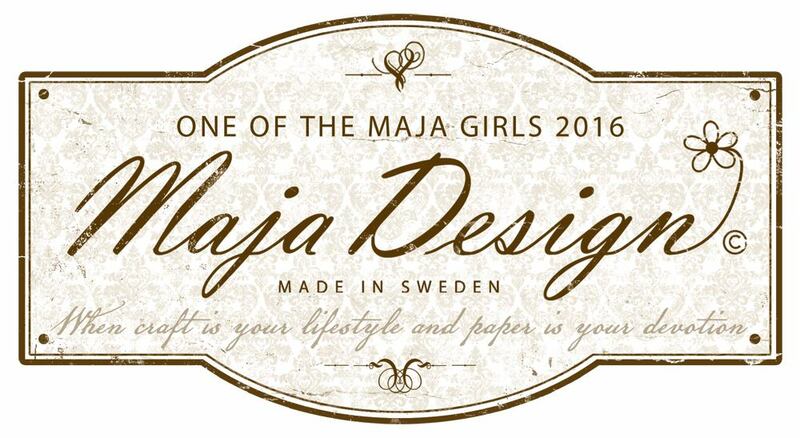 Very pretty with a wonderful warm vintage appeal. 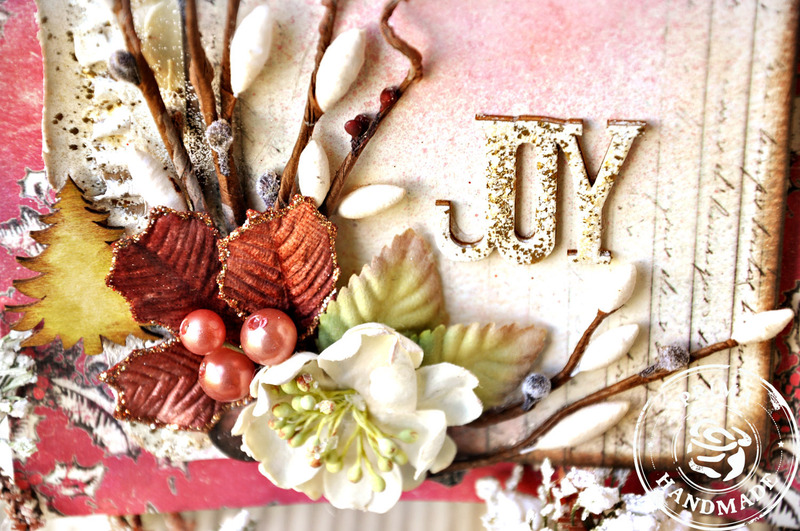 A close up of the Prima cluster - some branches from Prima, mistletoe, wood icons and florals. The Prima IOD Everyday Vintage Paintable Cards are a great start to creating a quick vintage style holiday card. 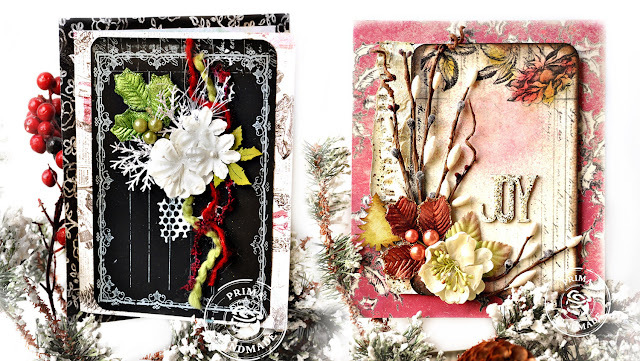 To play along, visit the prima Blog here.